You might not think "blues festival" when you think of Mother's Day but what an enlightening way to celebrate your own roots, too. Yes, moms are being honored this weekend in about 85 countries around the world. 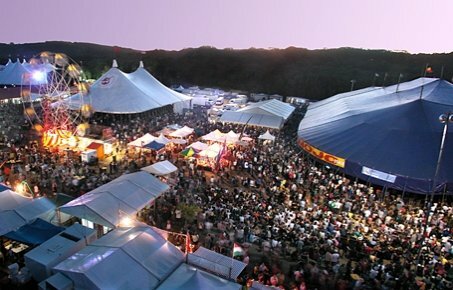 There are also a serious amount of blues/roots festivals to enjoy around the globe as well. I hope you're able to catch some of the good blues "family" vibes. The annual Blues Foundation's Blues Music Awards gala happened Thurs, May 9th, in Memphis, TN to honor the best in the industry. We have the exciting results in this issue (and on our Facebook page if you'd like to share from there). Four Alligator Records artists recieved eight BMA's, stellar, soul-blues artist, Curtis Salgado, won in three categories and both Janiva Magness and the late and greatly missed Michael Burks, each won in two categories. Congratulations to all the winners as well as the nominees. Our new Facebook "Rewards Program" is a place you might want to check into. 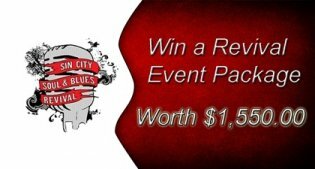 You can win some amazing things like the "Sin City Soul & Blues Revival" package worth $1550, and more. Check out the cool details below. Yes, I do throw a few in occasionally just to see if you're actually paying attention. Join our Rewards Program and become one of Our Top Fans to Win Gifts, Discounts, Perks, Experiences and More! Admission to all 35+ performances at the Pool Party Stage, Pavilion Showroom Stage, & the Miranda Blues Stage! + Standard/Double Occupancy Suite for (3) Nights: All of the Rio's standard suites feature 600 square feet of spacious living and all the amenities of a first-class hotel. 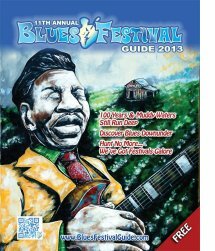 Here is the splendid 2013 cover of our 11th annual Blues Festival Guide magazine. Now you can also enjoy the magazine in digital format! Click on the cover to check out the digital version! 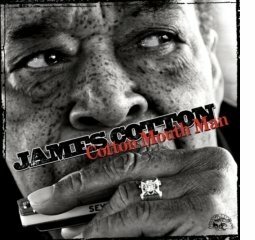 Cotton Mouth Man, James Cotton's fifth release on Alligator Records, is a special recording indeed. The entire project, helmed by Grammy-winning producer Tom Hambridge, is a musical celebration inspired by Cotton's colorful and sometimes perilous life. The songs are drawn from his storied career... from his youthful days in the Delta touring with Sonny Boy Williamson and Howlin' Wolf, to his early career in Memphis where he cut for Sam Phillip's Sun label, to his pilgrimage to Chicago to join Muddy Waters band for 12 years. Cotton co-wrote seven of the albums' songs (more originals than he's ever included on one release) and five more were written espcecially for the project. Eagerly contributing to Cotton Mouth Man are artists Gregg Allman, Joe Bonamassa, Ruthie Foster, Warren Haynes, Delbert McClinton and Keb' Mo.' 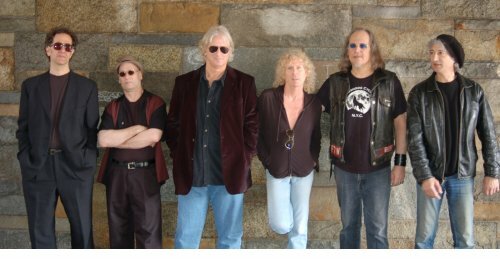 Also appearing are members of Cotton's touring band, vocalist Darrell Nulisch, guitarist Tom Holland, bassist Noel Neal and drummer Jerry Porter, plus an all-star group assembled by Hambridge. 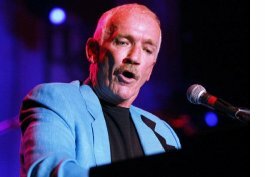 James' voice was almost stilled by throat cancer surgery years ago, but he was so excited by the sessions that he returned to the microphone to quietly sing the touching and personal closing song, "Bonnie Blue," named for the cotton plantation where he grew up. At 77 James remains a fun-loving, energized, deeply soulful musician, still in love with the blues. With Cotton Mouth Man, he's delivered the most personal, celebratory and just plain fun recording of his career. 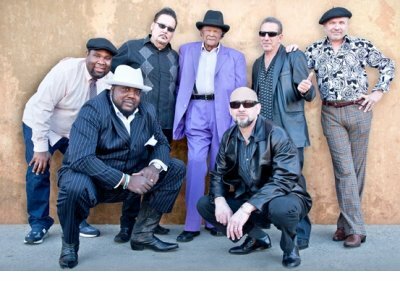 Formed in late 2007 by vocalist Tom "Big Son" Eliff and guitarist Mitch "Da Switch" Dow, The Mighty Mojo Prophets set forth to lay down some of the most honest, straight-ahead blues that they could conjure up. Rather than taking the easy way out and simply retread the songbooks of their bygone heroes of yesteryear, Eliff and Dow put their heads together (and possibly a little Goofer dust) and crafted their self-titled national debut for Rip Cat Records in 2011. The results landed them a 2012 Blues Music Award nomination for Best New Artist Debut. 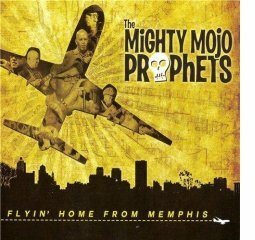 The Mighty Mojo Prophets' follow-up effort Flyin' Home From Memphis on Delta Groove Records, continues the tale with thirteen skillfully written and wonderfully performed songs, composed by founding members Tommy Eliff and Mitch Dow. Together they've summoned a veritable bevy of musical variations beyond their adopted West Coast roots to incorporate other regional styles such as Chicago and Texas blues, Memphis soul, country blues and proto-rock 'n' roll. With solid rhythmic support from Dave Deforest on bass and Alex Schwartz on drums, along with special guests San Pedro Slim and Alex "Li'l A" Woodson on harmonica, Mike Malone on piano and organ, plus the B7 Horns consisting of Mark Sample on tenor sax and Jonny V on trumpet, this collection stands out as a refreshingly original take on traditional roots styles in a sea of 'the same ol' thing'. Get ready for a weekend of blues, roots and rock music at the 16th Annual Doheny Blues Festival on May 18 & 19, 2013. Enjoy 20+ performances on three different stages, tasty microbrews, local vendors and delicious food. 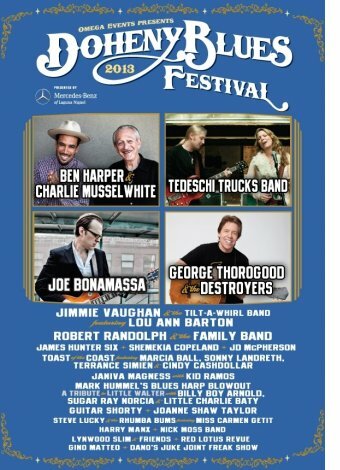 Headlining the 2013 festival are Ben Harper & Charlie Musselwhite, Tedeschi Trucks Band, Joe Bonamassa, and George Thorogood & The Destroyers. Also joining the line-up are Robert Randolph & The Family Band, Jimmie Vaughan, JD McPherson, Marcia Ball, Shemekia Copeland, James Hunter Six and many more. Grab your family and friends and head down to Doheny State Beach in Dana Point for the Doheny Blues Festival on May 18 & 19, 2013! 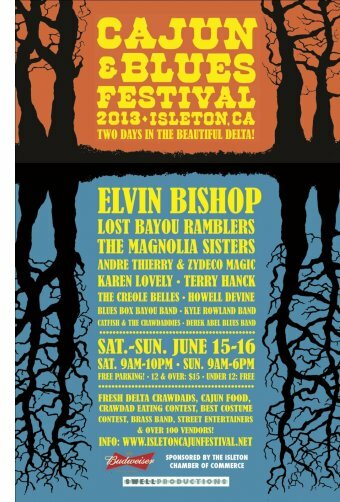 (Isleton, CA) "Bringing music back to Main Street" is one of the proud key elements of the 2013 Cajun & Blues Festival set for Father's Day weekend, Saturday and Sunday, June 15-16 on Main Street in the Delta hamlet of Isleton, CA. National headliners blues legend/Grammy winner Elvin Bishop and two impressive Cajun bands from Louisiana, The Lost Bayou Ramblers and The Magnolia Sisters (with Grammy winner Ann Savoy) will top the line-up. Also on the bill are Bay Area Louisiana music favorites, Andre Thierry & Zydeco Magic, The Creole Belles with Andrew Carriere, and many more. Full band links, bios and set times are at www.isletoncajunfestival.net. Presented by the Isleton Chamber of Commerce led by new president Lynette Brister, former Chamber president Jean Yokotobi and talent producer Mindy Giles (Sacramento's Swell Productions) the two-day family-friendly festival is promoting the strongest music line-up yet and two glorious days in the Delta. Budweiser/Markstein Distributors is the title sponsor again this year. Over 20,000 pounds of fresh Delta crawdads cooked by Isleton's master c-dadster, Kenny Silva, and festival food from central and northern CA area vendors will feed the thousands of attendees. Tickets are $15 per day for ages 12 and over. Under 12 free. Advance tix here. The NEW YORK BLUES PROJECT aka NYBP is: Jon Montgomery, Clint Bahr, Billy Ficca, Fingers DelRey, Steve Bondy and Jeff 'Houndog' Schiller. NYBP... six New York City legends... each having an industry track record that is nonpareil. Members of NYBP have collaborated with: Johnny Winter; The Doors; Peter Banks; Flash; Kiss; Foreigner; Bootsy Collins; Bill Laswell; and Todd Rundgren. A comprehensive listing of the many luminaries with which members of NYBP have worked would exceed the press release's permissible wordcount. The website at www.NYBLUESPROJECT.com contains a comprehensive listing of their many credits. NYBP's sound is as unique as are the talents of the members of the group. The sound is classified best as Metropolitan Blues or Urban-City-Scape Blues. Its roots include: jazz; jump; swing and the multitude of categories that have come to define the contemporary blues genre. NYBP has stunned audiences wherever they have played. Whether performing at the Montreal Blues Festival, aka Festiblues, or benefits to raise monies for the less fortunate amongst us, or legendary venues in New York City, audiences agree that they are a “blues super group.” But, Mud Williams, who is the son of the legendary Muddy Waters, put it best when he said, "The New York Blues Project... a great band... that's why I love the blues." 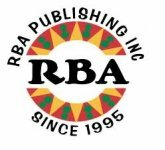 Since the initial penning of this press release, the legendary Uptown Horns (Phunque.com) has chosen to join forces with the New York Blues Project. 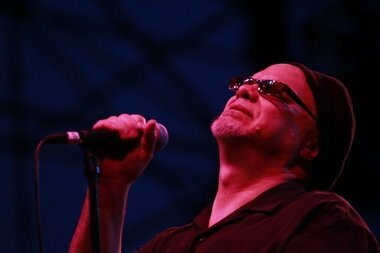 Their musicianship can only enhance the super-group status of the New York Blues Project. Lords and Ladies of the Blues world, please join with BUSTLE TRUNK MGMT in welcoming the New York Blues Project, featuring the Uptown Horns, to the wonderful world of the Blues. Also appearing are Curtis Salgado, Mike Finnigan, Kevin Selfe, Peter Dammann, Otis Grand and Audrey Turner. Few blues acts have perfected the tricky maneuver of honoring the storied history of the Blues, while at the same time keeping the music up-to-date, as well as The Mannish Boys. 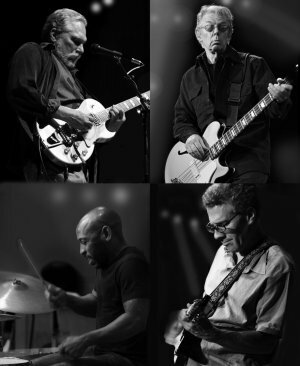 They’ve continually evolved through the years, seeking out and spotlighting the talents of true Blues legends in a setting that stays true to the deep roots of genre, providing them with the support required to excite today’s blues audiences. A virtual blues festival in a single band, all of this variety adds up to a continually surprising, wide-ranging, and most consistently excellent release from The Mannish Boys career so far. The 24th Annual Simi Valley Cajun & Blues Music Festival will be held on Saturday and Sunday of Memorial Day weekend, May 25th & 26th, 2013. 2013 promises to continue our tradition of bringing fans a full weekend of nonstop award-winning entertainment, more food choices than you can sample in two days, and activities to keep kids of all ages entertained too. The Cajun & Zydeco Stage will showcase continuous music each day featuring the best Cajun, Creole and Zydeco music acts. The Blues Stage will feature some of the most talented and renowned Blues & Roots acts in the world both Saturday and Sunday. Both stages feature lots of viewing space plus large dance floors. In addition, this family friendly event has a giant kids area featuring bouncers, rock walls, specialty acts, crafts and talent shows. There are also food booths and many crafts and merchandise booths. CLARKSDALE, MS - In a White House ceremony in the East Room, First Lady Michelle Obama joined Institute of Museum and Library Services (IMLS) Director Susan Hildreth to present the 2013 National Medal for Museum and Library Service to the Delta Blues Museum. The nation's highest honor conferred on museums and libraries for service to the community, the National Medal celebrates institutions that make a difference for individuals, families, and communities. 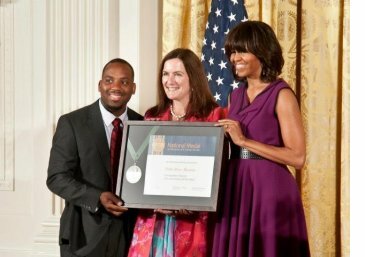 Museum Director Shelley Ritter (center) and community member Travis Calvin (left) accepted the National Medal. The selection of songs encompasses a multitude of genres with roots music from Country, Jazz, Roots, Rock and Roll and Blues. Even the songs subject matter are tales only women can tell. Each one tells a different story with a different flair. 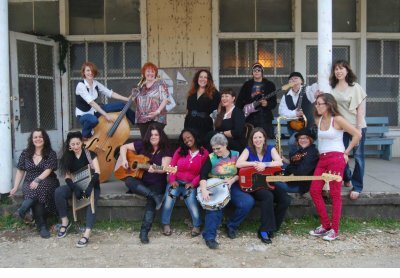 The CD features blues women from Canada, Australia and many states across the country who gathered to record before the 2013 IBC's. Amongst them are Clarksdale Mississippi native Jacqueline Nassar, first Robert Johnson achievement award. Australian Jazz diva Dee Dee Lavell, whose current cd has received rave reviews in the Jazz Times. 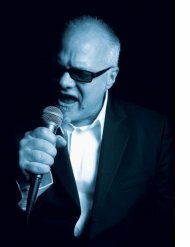 Canadian blues artist Sunday Wilde whose current release hit the top five on Sirius XM Radio on BB King’s Bluesville. Minnesota Native Americans Joni and Alex Buffalohead, who are the front singers for award winning (NAMMY) Native American blues band Bluedog. This is just an example of the world class blues women that are involved in this new recording. The recording was done live in the historic Hopson Commissary on Old Hwy 61 in Clarksdale, MS. This is the first project of the new grassroots organization to assist women blues artists around the world. This is our new QR code. 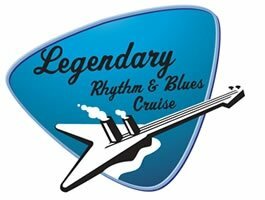 You will see it on the front cover of the 2013 Blues Festival Guide magazine! 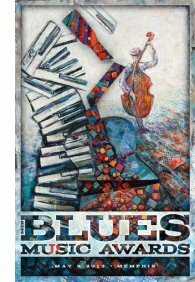 Your blues friends may want to “borrow” your copy of your Blues Festival Guide magazine and now you can offer to let them scan the code with their smartphone. This will bring them to our Mobile Website where they can find a link to the Digital Version of the magazine. The River City Blues Society of Virginia is proud to announce their inaugural Parkfest Blues Festival in Richmond, Saturday, May 11, at the Pocahontas State Park Amphitheatre (Chesterfield, Virgina). The Cincy Blues Society (Ohio) along with the Rotary Club of West Chester/Liberty, is hosting the 2013 Voice of America BBQ Bash. This premier community fundraising event will be held May 17-May 18 at the historic Voice of America National Museum of Broadcasting, West Chester Township, Ohio. Presented by the Riverfront Blues Society, the 2013 Riverfront Blues Festival, in Fort Smith, Arkansas, celebrates its 23rd year. The spectacular lineup includes some of the best blues artists and guitarists in contemporary blues. Famed Texas guitar slinger Johnny Winter headlines the two day event slated for June 21st and 22nd, in Harry E. Kelley Park in historic downtown Fort Smith. For the 16 months, The Blues Foundation has asked blues fans to help Raise the Roof! Many of you have responded generously. 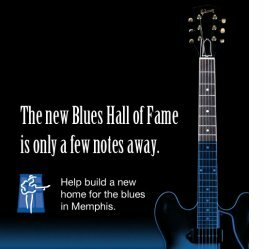 As a result, the Campaign for the Blues Hall of Fame has secured pledges and donations of over $1.55 million dollars. By September, the final plans and drawings will be ready and construction can begin. But construction will begin only if those blues fans who have not yet pledged do so in the next five months. 2. 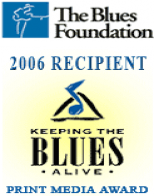 Or Mail check to: The Blues Foundation 421 So. Main, Memphis, TN 38104-4464. No effort is too small or unappreciated If not us, who? If not now, when? NOTE: BFG is working with the Blues Foundation to help spread the good word. "20 Years of B.B. KIng"
Hot Tuna is back with a great CD, Steady As She Goes. Believe it or not, it’s their first new record in about twenty years. Catch the Tuna at their hottest at the Boulder Roots and Blues Summit in Boulder Colorado May 17th and 18th. And catch Jorma with Elwood next time. He has his guitar, and will perform some music – live. Jorma Kaukonen and Hot Tuna. Next time The BluesMobile.